In their last year of high school, most students are wrapping up required courses, shoring up any weak areas, and using electives to explore potential career options. College-bound seniors may need guidance in selecting the best courses to support their secondary-education plans. Some students may be planning a gap year to allow themselves time to figure out their next steps while others may be going directly into the workforce. Because 12th-graders' plans can vary so widely, it's essential to help them customize their coursework for their final high school credits. 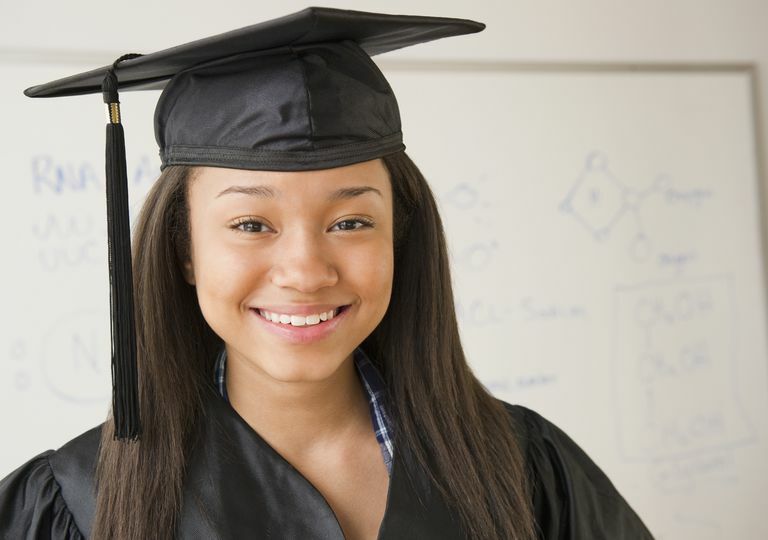 Many colleges expect a student to complete four years of high school language arts. A typical course of study for 12th grade includes literature, composition, grammar, and vocabulary. If a student has not completed British, American, or World Literature, senior year is the time to do so. A focused study of Shakespeare is another option, or students may choose from other books recommended for high school seniors. It is common for students to spend a semester each researching, planning and writing two in-depth research papers. Students should learn how to complete a cover page, cite sources, and include a bibliography. It is also wise to use the time when they're writing their research papers to ensure that students have a strong working knowledge of standard computer software and programs used to format and print their document. This may include word processing, spreadsheet, and publishing software. Students also need to continue writing a variety of essay styles across the curriculum on a wide range of topics. Grammar should be incorporated in this process, ensuring that students understand the difference between formal and informal writing, when to use each, and how to use correct grammar, spelling, and punctuation in all types of writing. By 12th grade, most students have completed Algebra I, Algebra II, and geometry. If they have not, they should use their senior year to do so. A typical course of study for 12th-grade math includes a solid understanding of algebra, calculus, and statistics concepts. Students may take classes such as pre-calculus, calculus, trigonometry, statistics, accounting, business math, or consumer math. Most colleges expect to see only 3 years of science credit, therefore a fourth year of science is not required for graduation in most cases, nor is there a typical course of study for the subject. Students who have not already completed 3 years of science should work on completion during their senior year. Students who are going into a science-related field may wish to take an additional science course. Options for 12th-grade science include physics, anatomy, physiology, advanced courses (biology, chemistry, physics), zoology, botany, geology, or any dual-enrollment college science course. Students may also wish to pursue purely interest-led courses in the science field, such as equine studies, nutrition, forensics, or horticulture. As with science, most colleges expect to see only 3 years of social studies credit, so there is no standard course of study for 12th-grade social studies. Students may be interested in elective courses that fall under the category of social studies such as psychology, sociology, anthropology, geography, world religions, or theology. If they have not previously studied them, the following topics are good options for 12th grade: principles of U.S. government; primary documents of the U.S.; United States agriculture; urbanization; conservation; business and industry in the U.S.; propaganda and public opinion; comparative governments; comparative economic systems; consumer education; economics; and taxation and finance. Students may also wish to study topics such as international relations and organizations and American foreign policy or take a dual-enrollment college course. Most colleges expect to see at least 6 elective credits. College-bound students should consider courses such as foreign language (at least two years of the same language) and the visual and performing arts (at least one year of credit). Students who are not college-bound should be encouraged to earn elective credit in areas of potential career interest. Students can study almost any topic for elective credit. Some options include graphic design, computer programming, digital media, typing, public speaking, debate, home economics, test prep, or drafting. In many cases, students can count work experience for elective credit. Many colleges also expect to see at least one year of physical education credit and one semester of health or first aid.